The odd ball paradigm is a commonly used approach to develop Brain Computer Interfaces (BCIs). EEG signals have shown to elicit a positive deflection known as the P300 event related potential during odd ball experiments. BCIs based on these experiments rely on detection of the P300 potential. EEG signals are noisy, and therefore P300 detection is performed on an average of multiple trials, thus making them inappropriate for BCI applications. We propose a neural network model based on Convolutional Long Short Term Memory (ConvLSTM) for single trial P300 classification. EEG data encodes both spatial and temporal information using multiple EEG sensors. Convolutional neural networks (CNNs) have been known to capture spatial information whereas LSTMs are known to capture temporal information. Our experiments show that the proposed method outperforms previous CNN based approaches on raw EEG signals. 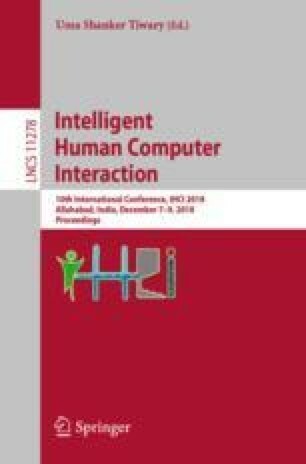 The approaches were evaluated on publicly available dataset II of BCI competition III. Another dataset was recorded locally using audio beeps as stimuli to validate these approaches. The ensemble models based on CNNs and ConvLSTM are also proposed. These models perform better than individual architectures.